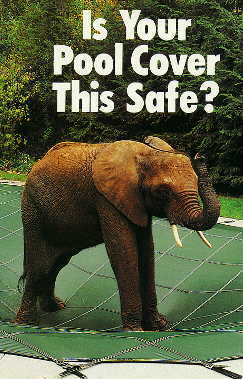 And LOOP-LOC swimming pool covers are so durable and so well made that they come with a 12 Year Prorated Warranty ! 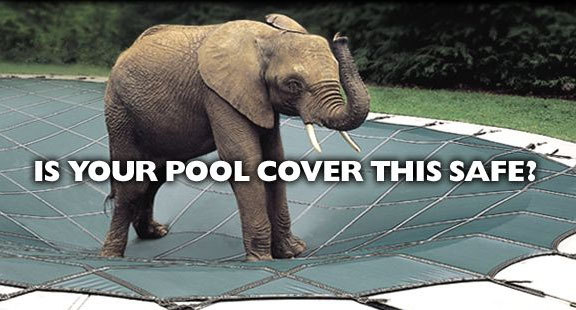 That's why it's smart to insist on a LOOP-LOC cover for your pool this year! Every LOOP-LOC Cover comes with a 12 Year Warranty. Once you remove the cover, the anchors screw down flush with your deck. The springs hook onto the anchors in just a few minutes, making your pool opening a pleasure rather than a problem ! 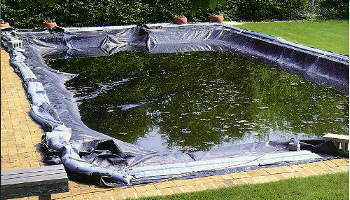 Standard green, optional black, blue or gray cover colors compliment your backyard's landscaping design while providing safe, secure protection for your pool through the rough winter months ! Call for a custom price! 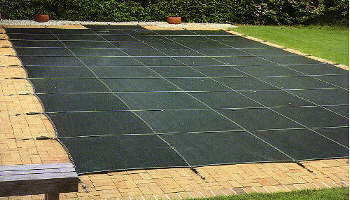 Loop-Loc Pool Covers are made 2' larger than the pool size to allow for a 1' overlap all the way around the pool. The pool length and/or width is up to 3 smaller than listed, and a minimum of 36 of deck is available. And the coping is 10 wide or less. The standard size covers listed below are green and come with concrete/brick deck hardware. 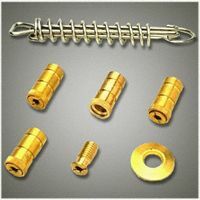 To order your LOOP-LOC in another color, if you need wood deck hardware or if you need a custom size, please call us for more information. Prices include FREE shipping to addresses in the contiguous USA. Shipping to any other area will be extra. Call for price. Hardware - Necessary quantities of hardware are represented in all prices. Click the button below to add the Loop Loc II Super Dense Mesh Safety Cover - Rectangle to your wish list.